I’ve been wearing Apple Watch Series 2 for a bit less than a year now. I use it daily and I think it’s a nice device with a room for improvement. 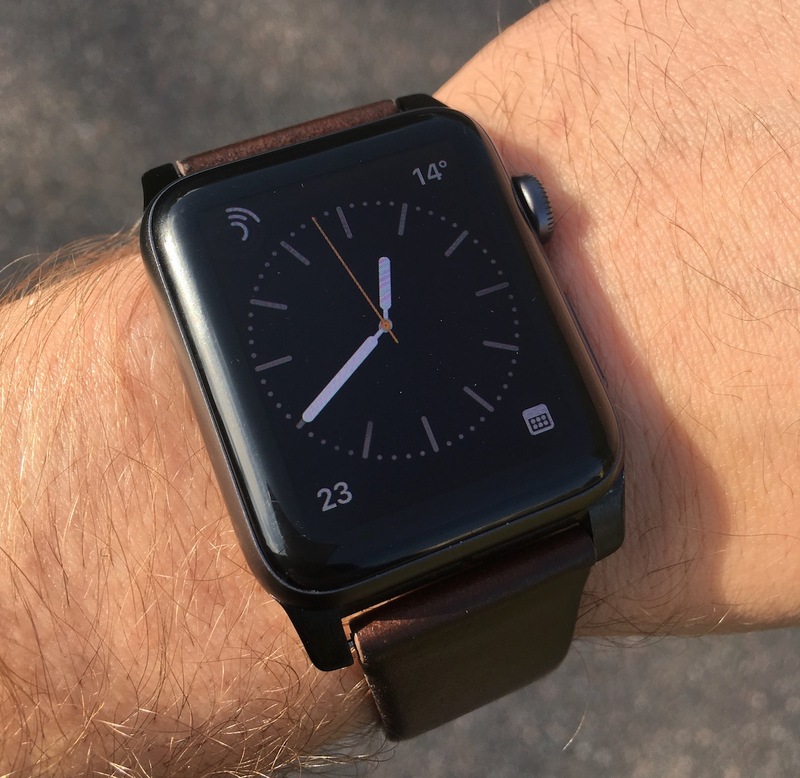 In this post I’ll share some thoughts about Apple Watch and my top wishes for it. My reasoning for getting an Apple Watch was that I wanted a watch with GPS functionality so I can use it for sports tracking (running, cycling) and specially for orienteering where I don’t want to carry a bulky iPhone. 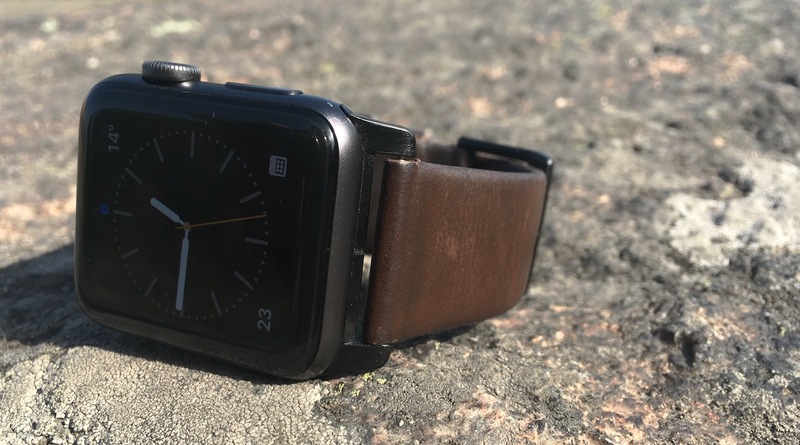 Series 2 added GPS support that the original watch lacked. 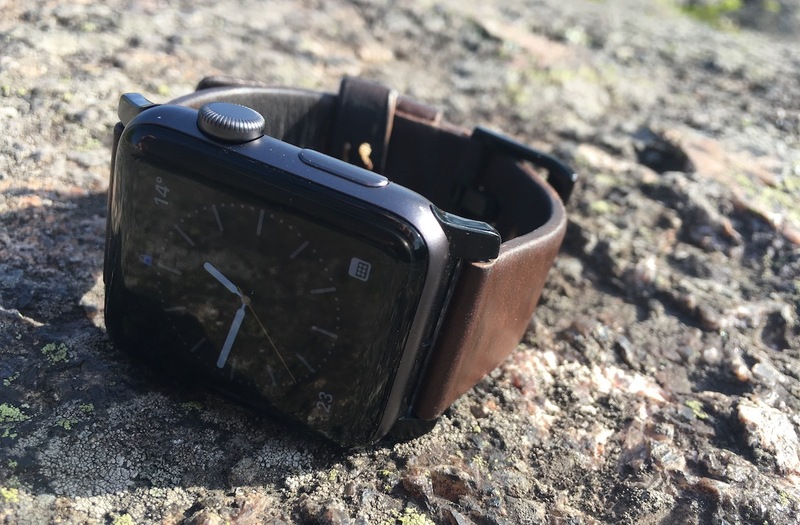 Even if its sports-related functionality wouldn’t be as great as in Garmin/Suunto/Polar devices, the deeper integration with iPhone and its more casual look suitable for everyday use made it worth a try. Apple’s original concept with their smartwatch was quite different what it’s now — only three years later. Initially they thought that people would really like to use apps on the watch. You know, read tweets and browse Instagram. But soon it was clear that people actually wanted to use it for fitness tracking and notifications. Watch should be more like a second screen for the phone. So with later iterations of WatchOS and Series 2, they moved their focus to simplicity and fitness tracking. There’s no one big problem that the Watch solves but many smaller things that it helps smoothen out. I don’t need to grab my phone for every reminder or notification. It unlocks my laptop and reminds me to stand up once in a hour. I can quickly check the location of my next meeting. While running, it’s nice for controlling audio playback. I want to believe it has made me stare less on my phone screen as I don’t keep grabbing my phone everytime it makes a buzz. That’s certainly a big plus. Battery life is surprisingly good. I might have over 60% juice left when I’m going to sleep. Siri is handy, I use it all the time for setting up timers. Voice assistants are still quite limited and support for Finnish language is lacking, but there’s a lot of promise here. There’s still room for improvement, so here are my top wishes for Apple Watch. Glancing at the watch isn’t great. Wrist detection works quite well, but not always. There’s also a slight delay before screen turns on and it’s both annoying and potentially dangerous in some situations, for example when cycling. I’m hoping for an always-on, not-too-bright display mode. Raising the wrist would simply increase the brightness. Maybe in always-on mode it could also use a simpler watch face? Having an always-on display would push this thing to a whole new level. I love my AirPods and I use them all the time. But there aren’t buttons or gestures for controlling volume on AirPods so I need to use either my watch or phone for that. I had a long rant about audio controls in my first version of this chapter, but WatchOS 4 (released this week) introduced a great improvement: a new option called Auto-launch audio apps. When playing audio from iPhone, it will make watch show the corresponding app when you raise your wrist. This removes all the extra steps previously needed to open Now Playing controls. Still, many times I find it more effortless to just use the physical volume buttons on my iPhone. I hope Apple never makes iPhone volume buttons software-only as I can easily control the volume without even taking the phone out of my pocket. Audio APIs for third-party developers are very limited currently, as Marco Arment explained in his blog post. This means that podcast app like Overcast can’t run independently playing audio on the background. I guess limited audio APIs are also the reason that 3rd party apps don’t have UI for controlling volume — Now Playing app needs to be used for that. This is the reason I have removed Overcast app from the watch as with the new Auto-launch audio app option I can have Now Playing screen with volume controls open whenever I raise my wrist. Seriously, I have triggered Siri ten times more often accidentally than on purpose. I haven’t heard so much complaints from others, so maybe my wrist just isnt’t the best possible fit for the Digital Crown. If I have a timer running, why not show it on watch face? Also, if I use Siri to start a timer, I can’t see it when opening the Timer app. The only way to know the remaining time is to ask Siri to tell it or ask it to show the current timer. WatchOS 4 introduced new dynamic Siri watch face, but that’s not exactly what I’m looking for here. I want more options for watch faces and more flexibility. I want it too be smarter, more context-aware. Apple Watchs locks itself when taken out of wrist, which is good. However, this detection seems to be a bit too sensitive and I have found myself too often with a locked watch in my wrist while having an iPhone in my pocket. This issue is specially annoying during workouts, I don’t want to type my passcode during a MTB ride in the woods. It’s still early years for smartwatches. New watches now have LTE support so they can do more things independently (even though LTE seems to drain battery quite fast). And as voice assistants get smarter every year, we are going to see much more useful watches in upcoming years. Hi, I'm Pauli, a Finnish web developer currently working at Wunder. When I'm not making web more awesome, I like to do sports like MTB, running, floorball etc. During my younger years I used to do some DJing, nowadays I'm still passionate about electronic music.